Nga Haerenga, means 'The Journeys' and is the name of the New Zealand cycle trail network. Back in the early 2000s, the first buzz was created around the potential of cycling tourism. The Central Otago Rail Trail, was established in 1994 on the path of the original railway from Clyde to Middlemarch. The railway was built for mining between 1891 and 1907, and was a testament to the workmanship of the time, with tunnels and intricate stone bridges. When the tracks were removed in 1990, clear tracts of relatively flat land adding up to 150 kms were left, and this became the Central Otago Rail Trail. It was a huge hit with both locals and tourists alike. In 2009, the idea of extending the successful model in Central Otago to the rest of New Zealand was born. The Government invested $50 million dollars, joined by $30 million from local communities and cycle trail trusts. The idea caught the imagination of the country as a whole, with thousands of volunteer hours poured in the projects. This summer of 2015-2016 has seen most of the network established and operating. No matter where you go in New Zealand, there will be a cycle trail within easy reach. Now is the best time of the year, the temperatures are comfortable, the weather is settled, and in many places where the trails are, the colours are spectacular. There are 23 'Great Rides' within the project, 10 in the North Island and 13 in the South. The rides are divided into sections, so if you are in an area but only have one day to devote to cycling, you can choose the part that most appeals. The trails are graded in difficulty and fitness levels required, with Grade 1 being the easiest to Grade 4 for advanced riders. The New Zealand cycle trail website is comprehensive, and clearly shows the elevations, and the grades of each track. The trails are supported by over 400 official partners who provide services to riders. If you are free spirited, or only wish to get a taste of the trails, bike hire may be all you need. If you are planning a multi-day epic adventure, there are companies who can offer you an organised tour. Otherwise, you could go somewhere in between with transfers for your luggage and a pick-up service to take you to your accommodation, while you ride independently. All these partners can be found on the Cycle Trails website. The Hauraki Rail Trail is the closest to Auckland and the easiest to ride, with the trail mostly in grade 1, with a few stretches of grade 2. It also uses abandoned mining infrastructure as a feature of the trail. It can be started from Paeroa, Thames or Waihi, at the base of the Coromandel Peninsula. The Waihi to Karangahake Gorge section is the jewel in the crown, with the waterfall just off the track, lots of historic mining artefacts and a 1.1 kilometre brick tunnel to ride through. 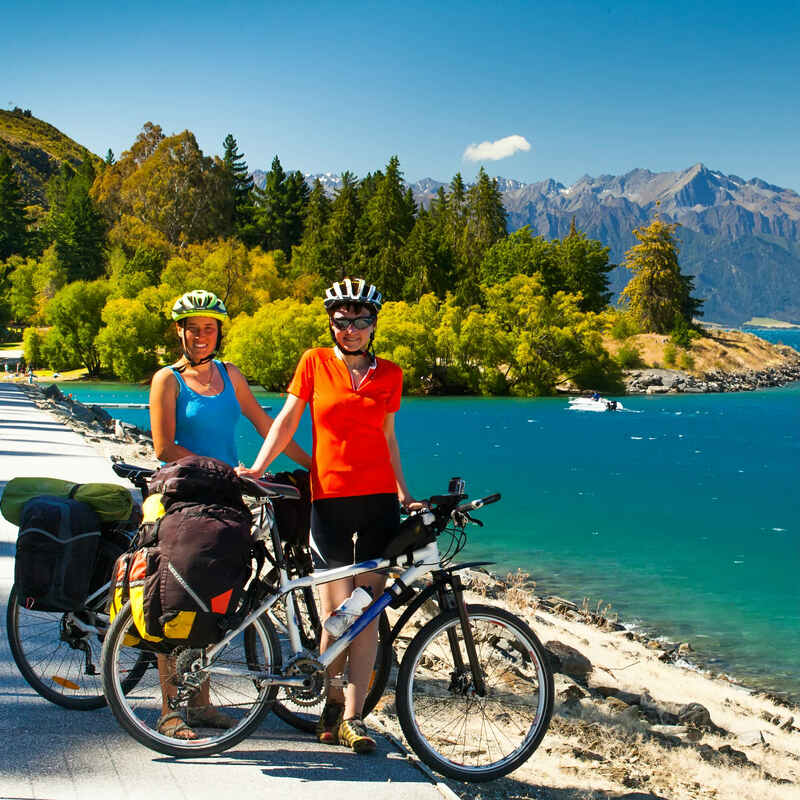 The Central Otago Rail Trail is as popular as ever, in fact, it has just won an award as the supreme winner of the Bike Wise New Zealand's Favourite Places to Cycle. There are over 20 towns on or near the trail, offering boutique accommodation, gold mining history, characterful country pubs, and of course, film-star scenery. If you are in either of New Zealand's tourist meccas of Rotorua or Queenstown, there are Great Rides available. In Rotorua there is Te Aha Ari, a two day ride of 48 kms through thermal wonderland. Cycle past steaming vents, bubbling mud pools and shooting geysers. When you are finished, stay on to experience mountain biking heaven in the Redwoods Forest. The Queenstown Trails are 120 kms of prime trails through the Wakatipu Basin, including the wine region of Gibbston Valley, historic Arrowtown and Lake Hayes. This trail is very easily broken into shorter sections, there are so many things to do along the way, that you may get distracted! A trail you can consider all year round, due to its location in high-sunshine hours Nelson is the Tasman Great Taste Trail. This ride can be broken up; cycle for between one and four days, covering between 38 – 175 kms, enjoying artisan produce along the way! The best way to get to the start of these rides is in your car or camper, hired through VroomVroomVroom. Once the ride is finished, you have the freedom of getting back in your vehicle and finishing your road trip at your own pace. Use our system to make sure you have the best deal. 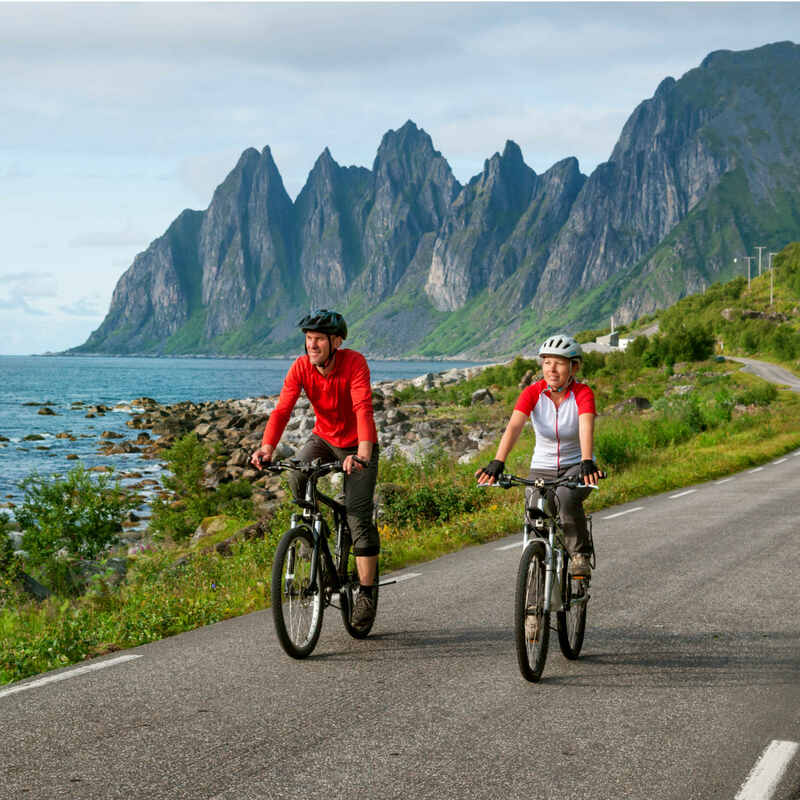 While every trail has bike hire partners you can liaise with, some of our suppliers also do a bike hire combo with the vehicle, great if you are planning on more than one ride, and wish to take a bike with you.